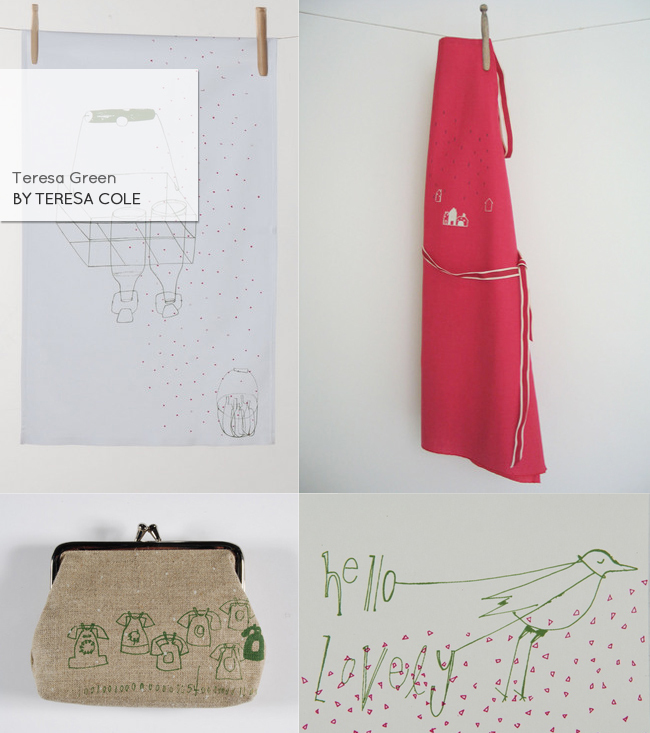 Handprinted in a studio in an old stable block in a village called Barrow upon Soar, fabrics sourced locally, a focus on functional products, orders packaged in traditional brown paper and string... what's not to love about Teresa Cole's handprinted home accessories line Teresa Green? Oh, Lovely.....so much to love for sure! I adore the little purse and that last image.....lovely. Off to check it all out...thanks hun! I Love LOVE Theresa's work, and she lives literally minutes from me so I keep meaning to get in touch and check out her studio. She is auch an inspiration.